For most of us, 24/7 Internet access is a necessity, especially on vacation. 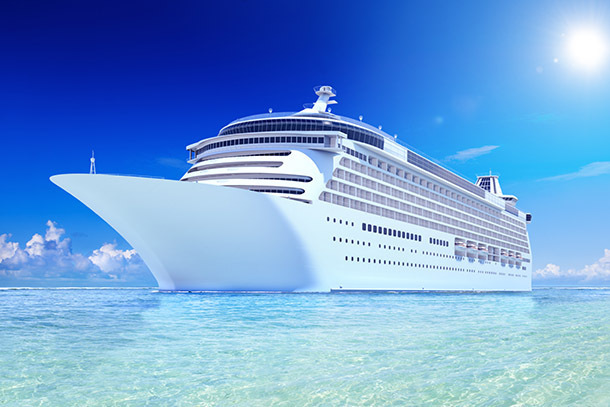 But for a long time now, cruisers have been forced to choose between overpaying for a painfully slow connection or disconnecting for the entire voyage. Fortunately, the onboard Wi-Fi experience may soon improve thanks to new moves from industry leaders like Carnival and Royal Caribbean, who are lowering Internet prices and restructuring how they charge for it. The Social Plan ($5 per day) is the cheapest option and is designed to attract younger travelers who want access to Facebook, Twitter, and Instagram but don’t need the full Internet. The Value Plan ($16 per day) includes full Web and email access. The Premium Plan ($25 per day) offers the fastest Internet connection and gives you access to Skype and music streaming. Carnival hopes to implement this across 40 percent of its ships by the end of 2015. Royal Caribbean is also stepping up its Wi-Fi game with a new Internet service called Voom, which will offer high-speed, unlimited Wi-Fi that will allow cruisers to surf the Web, download music and videos, and access VOIP applications like Skype and FaceTime. Voom is a more simplified Wi-Fi experience because guests can now pay by the day, rather than by the number of minutes or hours used. It costs $15 per day for one device and $22.50 for two devices. This is expected to roll out to all Royal Caribbean ships by 2016. Another cruise line, Norwegian, hasn’t announced plans to enhance its Wi-Fi system to this scale yet, but it is reducing its per-minute Wi-Fi rates and giving cruisers the flexibility to transfer minutes between Internet Café terminals, personal laptops, and devices. And, the minutes purchased can be used at any point during the cruise, rather than during one session. Additionally, Regent Seven Seas, which is owned by Norwegian, is enhancing its tech system across all four of its ships to offer a free unlimited Wi-Fi that will be accessible anywhere onboard by 2016. Smaller cruise lines like Viking River Cruises and American Cruise Lines are also implementing free and stronger Wi-Fi. Bottom line: Expect to see more cruisers hooked up to smartphones and tablets on your next voyage.